You’ve probably heard of them: probiotic drinks, juice cleanses, wellness teas. Do they really work?  What are their benefits in regards to digestion and overall health? 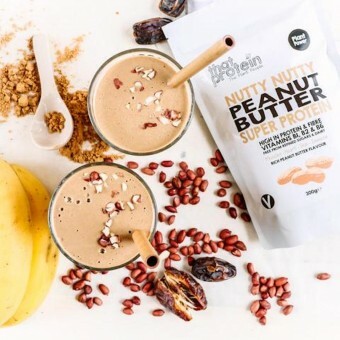 A large number of our independent makers work closely with experts and nutritionists, and are often qualified in diet and nutrition themselves, to craft small-batch drinks and foods which harness the natural goodness of plants, fruit and superfoods. With a passion for wellness and mindful eating, our makers swap processed sugar for natural sweeteners such as coconut blossom nectar and lucuma. They skip artificial ingredients and colourings altogether, creating and executing all-natural recipes which they swear by. 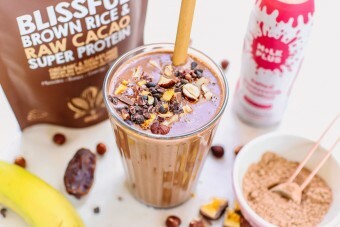 We’ve had the pleasure to try some of the nation’s best-tasting, superfood-infused drinks and smoothies, packed with freshness, flavour and vitamins. Explore our top 10 picks below. 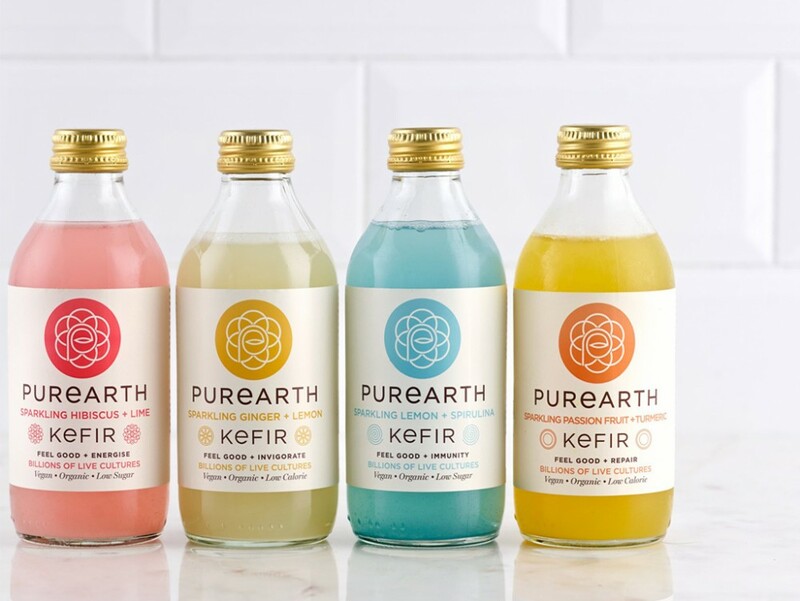 Purearth's unique ‘dairy free’ probiotic water kefir in 4 exciting flavours: Ginger and Lemon, Lemon and Spirulina, Hibiscus and Lime, Passionfruit and Turmeric. This fermented drink contains live cultures of friendly bacteria and has been used for centuries across the globe to promote gut health and wellness. Swap your morning or afternoon snacks with these cold-pressed juices by Skinny Malinky; nutrient-rich and can be easily be enjoyed on the go. Low in natural sugars, these pure, unpasteurised fruit and veggie juices contain no additives - not even water. 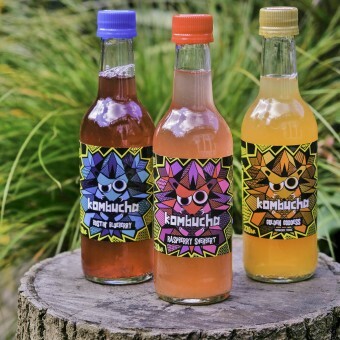 Brighton Booch make small-batch, raw kombucha (a fermented health drink which contains probiotics) in 8 incredible flavours: Chai Spice, Raspberry Sherbert, Bostin' Blueberry, Elderflower Elixir, Turmeric, Tusli Cola, Orange Blossom, Naked. 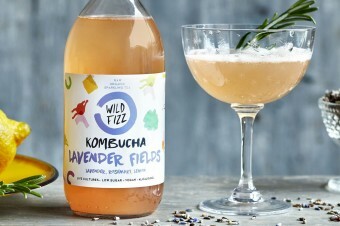 Naturally fizzy and flavoured with herbs, spices or fruit. Turmeric contains compounds called curcuminoids, which are known for their anti-inflammatory properties. It is also believed to be a powerful antioxidant. 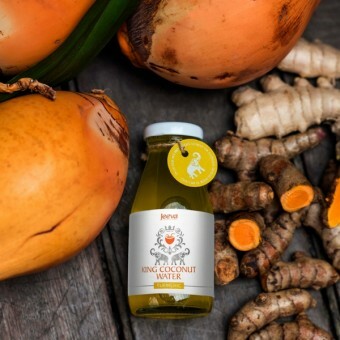 Jeeva infuse fresh organic root juice of turmeric with garden fresh organic tender coconut water - no artificial ingredients, no preservatives, no colourings. 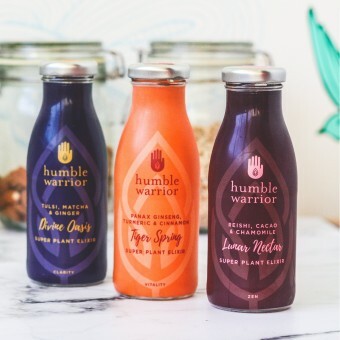 Humble Warrior was created after a trip to Sri Lanka, where its founders discovered the benefits of the island's fruits and plants. Their plant-based elixirs blend pure British spring water and plant extracts thought to help combat stress and restore balance. Herbal wellness teas inspired by the ancient Indian healing system of the chakras. All herbs and spices are ethically sourced and come in biodegradable corn starch bags. 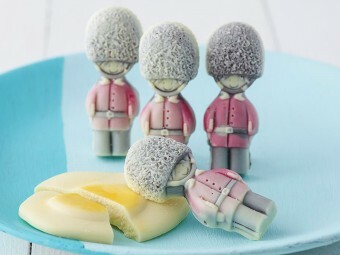 Delicious flavour combinations such as Rooibos, Cocoa, Vanilla, and Chamomile, Honeybush, Lavender. These “health shots” are all natural, tasty and packed full of interesting functional ingredients, such as Dragon Fruit, Spirulina and Ginseng. Free from artificial ingredients, preservatives, gluten and dairy, these shots are crafted to help improve complexion, weight management, vitality and overall well-being. 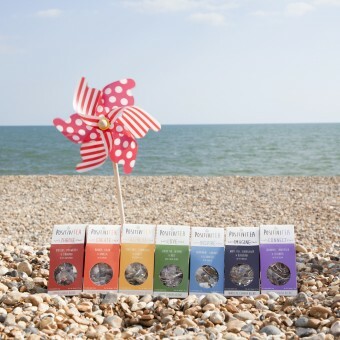 T+ vitamin super teas are made by blending functional herbs, green tea, natural fruit flavours and essential vitamins. Ingredients include echinacea, ginger root, ginseng, spearmint, and many more, all chosen for their potentially positive effects on overall physical and mental health. Delicious smoothie mixes in your choice of flavours, which you can store in a cupboard until you are ready to use. Make nutritious smoothies in seconds, in flavours such as Mango, Pineapple & Chia, and Mango, Kiwi, Spinach & Chia. No sugars, no preservatives, no gluten. CBD has many reported health benefits - it is said to aid in combating pain, anxiety and depression. 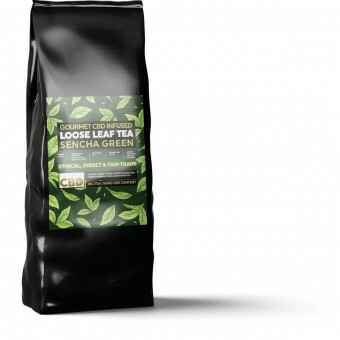 Green tea is also packed with antioxidants and nutrients, making this a powerful combination that’s sweet, earthy and fresh.